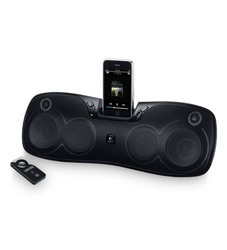 This powerful speaker for iPod and iPhone fills the room with music. And its portable design and travel case make it easy to take it with you wherever you go. We are providing of good range quality products in market. Mobile phone are now a days an integral part of our daily life keeping in mind of that daily needs and requirement we provide a very good and attractive range of i pods. We are engaged in manufacturing of iPod dock speakers. On your sleeve. Or your lapel. Or your belt.